Gdansk is a proper port city, a place where history has drawn all manner of people and things and set them to mingle in amongst narrow cobbled streets. The architecture is unlike that of other Polish cities, built by the ship merchants who had seen the best of what the world had to offer. The parts which survived WWII now have an extra layer of significance and lend the dockside and the Main Town a sort of sad elegance behind the lively atmosphere of the splendidly rebuilt modern city. 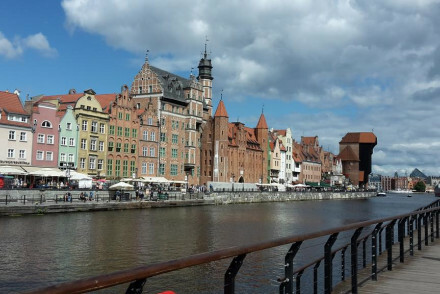 You’ll find many of the best places to stay in Gdansk in the Main Town which is where the lively bars and cafes, numerous fascinating museums and the amber shops (Gdansk is the amber capital of the world) are located. But it’s also worth looking round the dockside region if your idea of a top location includes water views, dockside beer gardens and a maritime theme. The history of Gdansk has been tumultuous to say the least. It’s been fought over, mostly by the Germans and the Poles, for hundreds of years and has changed hands several times, including during the 20th century when it was one of the earliest sites of conflict during WWII. Which might be why this city has such a wealth of fascinating museums. The European Solidarity Centre is one of the highlights, covering Poland’s dramatic post war period. 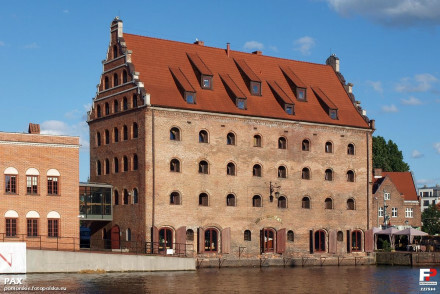 There’s also an Historical Museum of Gdansk, an Ethnographic Museum, an Archaeological Museum, a National Maritime Museum, an Amber Museum and a Museum of the Second World War. The museum ship, the SS Soldek is also worth a look. As is the Artus Court Museum, converted from a carefully reconstructed 14th century grand house. The famous Lenin Shipyard, memorable for its place in the dissolution of much of communism in Eastern Europe, should not be missed either. Then there’s the long stretches of sandy beach which are one of the reasons Gdansk is so popular with Poles during the summer months. And the Long Market which is at the Green Gate end of the famous Long Lane (probably this city’s most famous street). The Long Market is also where you’ll find the Neptune Fountain. The churches and cathedrals - Gdansk has a number of extremely impressive places of worship. It's a popular city what with the advent of low cost airlines making it very accessible. So if you want to guarantee a room in our pick of the best places to stay in Gdansk, don't leave it till the last minute. Puro is a trendy boutique hotel in the centre of town with 93 individually designed rooms and lots of natural light. There’s also a chic restaurant and bar which draw a lively young crowd. Perfect for a cool city break. If you'd prefer a self-catering option this holiday - then check out the great range of properties offered by our online partner Booking.com. 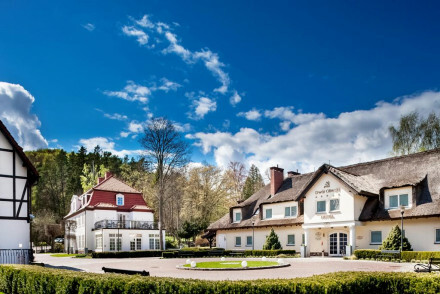 Fly to Gdansk Lech Walesa Airport situated 16km (10 miles) from the city centre. The airport is served by a range of domestic and International carriers. Passengers from the airport are able to then take a train or bus into town. Best time to visit - the summer months from June to early September provide the warmest weather for those looking to explore the town or enjoy the beaches. However Gdansk is a good year round destination. Elegant designer rooms in the historic city of Gdansk with chic-minimalist rooms, adorned with exposed brick muted in dark, earthy colours. There is a restaurant, sauna, gym and handsomely varied wine cellar. A quiet and indulgent spot in the heart of the city. Local exploring - Ideally positioned to explore Gdansk Old Town. Spa breaks - Unwind in the relaxing sauna and spa area. Great walks - In the historic centre of the city, there are some wonderful walks to be had here. Sights nearby - St. Mary's Basilica is nearby. 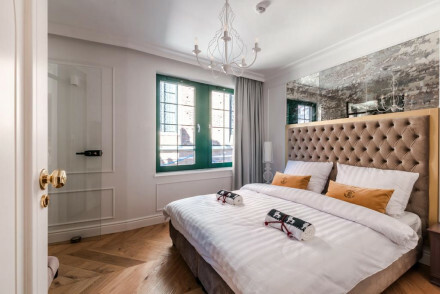 Elegant accommodation in the heart of Gdansk's historic centre, offering modern rooms adorned in nautical colours and breathtaking views of the yacht marina. The largest are equipped with kitchenettes. A chic and affordable base to explore the city from. Value chic - Chic style, a central location and all at very reasonable rates. Great walks - Near the marina, it is a lovely area to stroll and take in the views. Sights nearby - Near St. Mary's Basilica and the old Prisoner's Tower. 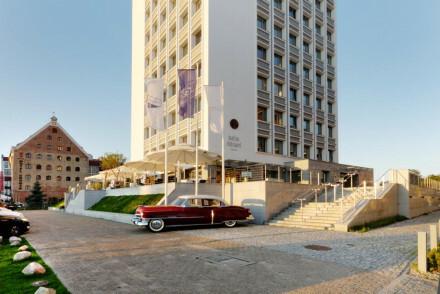 An historical waterfront building now turned chic contemporary hotel. Light and airy rooms feature enormous windows, wooden floors, crisp white linen and pops of bright turquoise coming from the soft furnishings. The fine dining restaurant specialises in seafood and there's an indulgent spa too. Local exploring - Ideally positioned for tourists in the heart of the historic city. Local markets - Wander along the stalls at Long Market and search for local produce and artefacts. 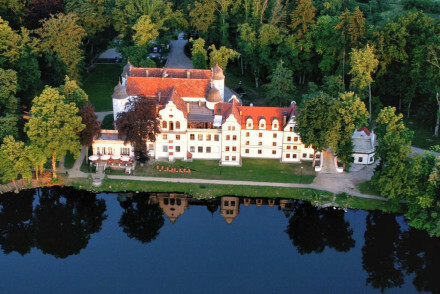 Sights nearby - Visit the striking Abbots’ Palace, located in the beautiful Oliwa Park. 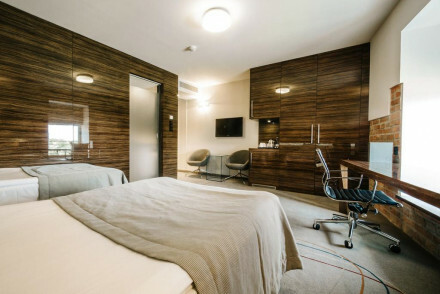 A trendy boutique hotel in the centre of Gdańsk. Individually designed rooms with lots of natural light, fabulous showers and top of the line furnishings. 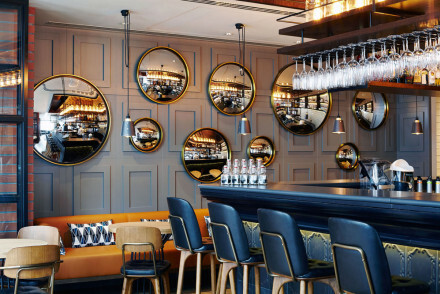 The chic contemporary restaurant and bar draw a lively young crowd at weekends. A sophisticated and cool city break. City Style - Chic stylish suites, with state of the art amenities, a cool lobby lounge and an intimate spa right in the centre of the city. Local exploring - Located in the heart of this vibrant city surrounded by cafes, local shops and beautiful museums. Sights nearby - The New City Hall, The Nowny Port Lighthouse and St. Mary's Church cannot be missed. Local markets - Just a few minutes walk from the Long Market. A riverside hotel located overlooking the yacht marina in the heart of the city. Housing a mix of traditional and contemporary rooms. Dine on classic Polish dishes in the elegant restaurant, indulge in the pampering spa and sip on beers made in the hotel's own microbrewery. Local exploring - Boasting an excellent position in the heart of the city, ideal for exploring by foot. Sights nearby - Visit St Mary's Church and admire the unique architecture and exceptional city views. Great walks - Walk in the steps of former kings on a stroll along the scenic Royal Way. Local markets - Shop for local produce and artefacts at the bustling Long Market. A luxurious five star property boasting a quiet spot just outside the Old Town. Light and airy rooms feature soft hues, cast iron beds and private terraces. Feast on French-Polish dishes in the fine dining restaurant and unwind in the pampering spa after a day spent exploring the historical city. Local exploring - Ideally positioned in Gdansk's Old Town giving easy access to the city's main attractions. Great walks - Follow in the path of former kings and walk along the scenic Royal Way. Sights nearby - Marvel at the architecture of the striking Oliwa Cathedral.